Happy Thursday! Over the past few weeks I've been having so much fun getting all our Spring and Summer pieces together, doing a little shopping and some fun collaborations and wanted to share 10 things I've been loving lately, for our girls, our home and more in this month's Love List! 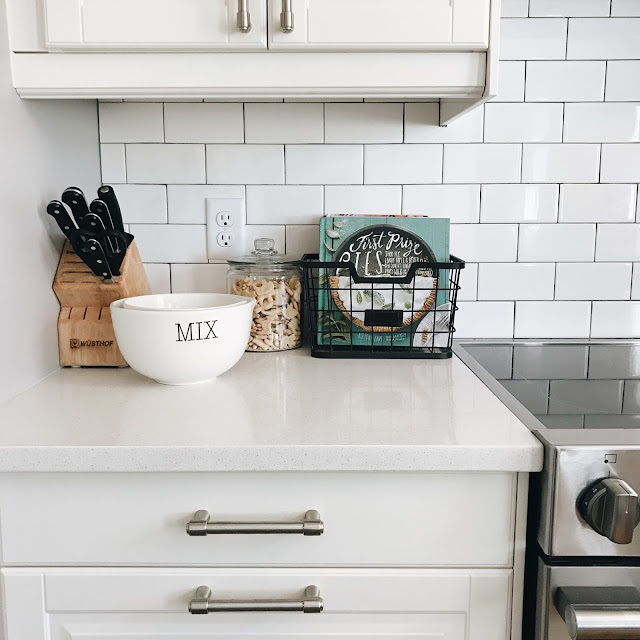 one | These mixing bowls. I do so much baking with the girls that when I came across these I couldn't get them in my cart fast enough. They were originally available from West Elm but are no longer available; I was thrilled to find them by accident on Amazon as I was browsing cook books this past weekend. four | This floral chambray dress for Penelope. I snatched it up last week with extra GapCash and a reward I had that was about to expire. There is something so timeless about the look of denim and I love the overall design of it. I put it on her and basically melted into a puddle because of how it just highlights her big blueberry eyes. Definitely a warm weather staple this upcoming Spring and Summer in her wardrobe. five | This collar romper for Adaline. So tiny and so sweet. I can't wait for her to wear it all summer long. 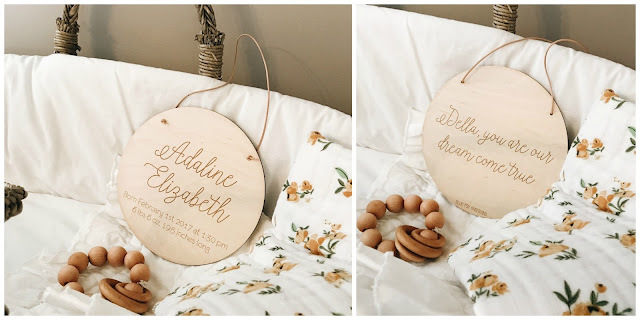 seven | For each of our girls, I have found a unique way to display their birth stats (a print for Olivia, a wood slice for Penelope) and most recently added this wood birth plaque to the nursery for Adaline from Blue Fox Engraving. It was so much fun to design it with Becky and not only include her birth stats on the front but a little love note on the back. We just love how it turned out and I can't wait to find the perfect spot in her nursery for it! Enter BLESSEDNEST15 at checkout for 15% off your own or any of the other products in her shop today through Sunday March 19.
eight | For all the girl Mamas out there, I am loving the new Spring bows from Wunderkin Co. (formerly Free Babes Handmade). Our favorites are the Bee sailor bow and Freya sailor bow for Olivia, all the oversized schoolgirl bows for Poppy and the mini Annabelle bow for Adaline. They are sold out right now but a full restock is coming in two weeks! 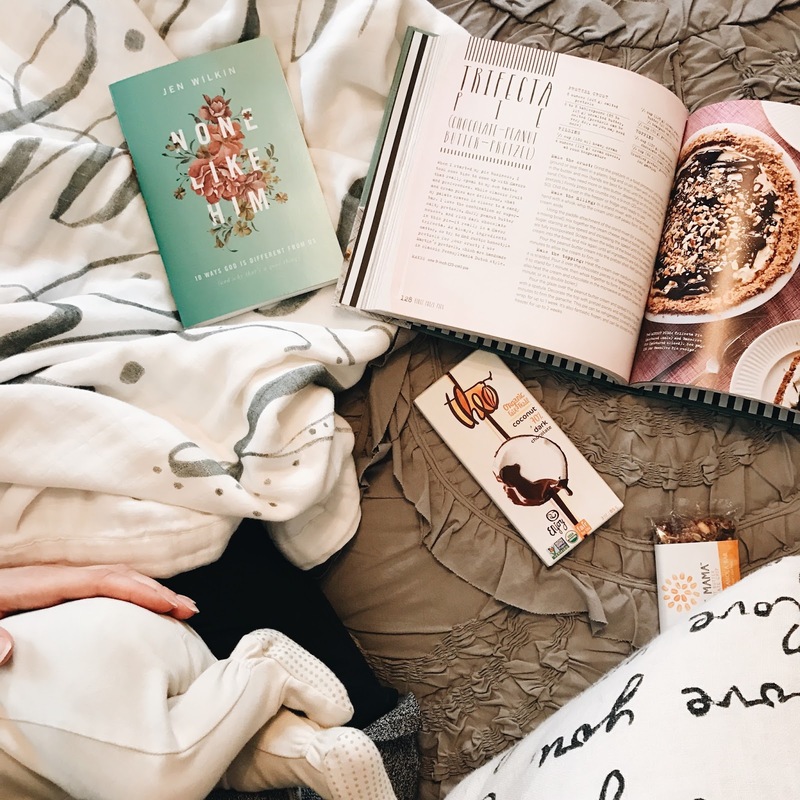 nine | If you are anything like me, at the end of a long day after my babies are all in bed, I look forward to unwinding and relaxing. One of my favorite ways to do that is taking bubble baths. This mint body scrub has been our favorite for as long as I can remember. I loved it so much that I bought 5 bottles a few years ago (probably in 2014) when they were on sale and we just finished our last one so I had to order a few more. I love using it on my legs after I shave, for foot rubs on Dustin, in the shower, etc. I love that it exfoliates but also smells ahhh-mazing! Right now online you can buy two and get one free (just add 3 to your cart and the price of one will come off)! ten | A favorite shop of ours for beautiful dresses is Peyper Kids, run by beautiful Mama Tiffany out of Houston Texas and inspired by her two daughters. She made a beautiful floral top for Penelope to match a quilt that was given to Adaline using our favorite Rifle Paper Co. fabric and I just fell in love with it when it arrived, all the details, the quality, even the packaging. She just recently released her Spring line and this Wren Dress is on my wishlist for Penelope for Summer. Most all of her pieces are sold out (they're just that good) but her shop will be restocked on Monday (March 13)! Enter BLESSEDNEST15 at checkout for 15% off your total purchase from Peyper Kids today through Saturday April 1. What has been on your love list lately?! If black off shoulder dress keeps women a sense of mystery.Then high low black lace dress shows the neat and pure of a girl.